Hurray for mid-summer, and the perennial pink phloxes flowering brightly near the Pergola. I do so appreciate their rich pink shades. I'm less happy with the invasive lilac phloxes which seem to pop up everywhere, though. Who planted them? Oops - me. 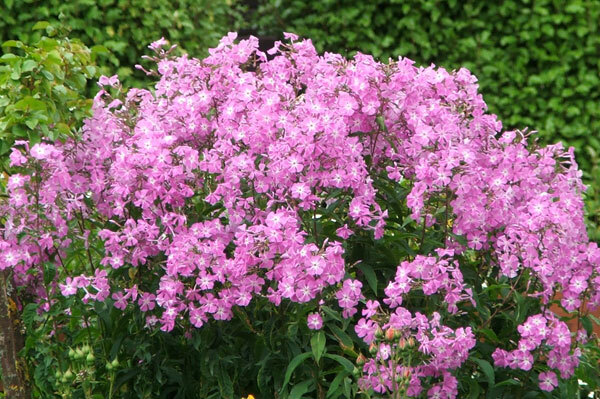 One of my master (I suppose that should be 'mistress') phlox plans is to replace all those lilac phloxes. They seem grow everywhere, spread everywhere, and refuse to disappear after yearly being energetically dug out. In their place I would like to see more of these pink beauties. What lovely summer colours! In mid-summer there's a definite lack of the colour pink in the garden. Most of the pink roses are resting between flowering flushes, and of course the pink flowering shrubs like the Rhododendrons and Camellias are well past making any flowery contributions. I realise at this time of tht year how much I love (and miss) the colour pink. Perennial phloxes are medium tall, and in my windy conditions would appreciate discrete support. They don't get any, though. There's a tendency for some varieties to mildew, but luckily not here in my garden. And naturally that ubiquitous lilac phlox (have I mentioned that it annoys me?) is totally healthy. Hmm... I sometimes wonder if I am fated to have it always in my garden. It does have Moosey heirloom status - I brought the first plants to Mooseys from my old garden. 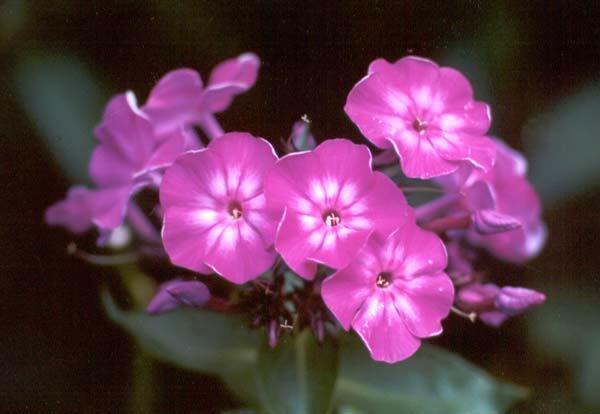 My lilac phlox has dark leaves. 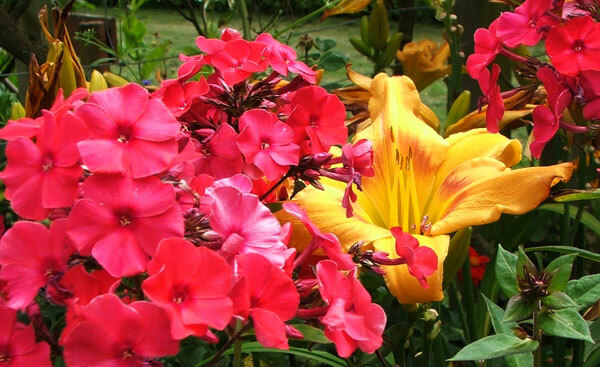 It flowers profusely throughout the summer weeks, and is a tough garden customer in wind or drought. 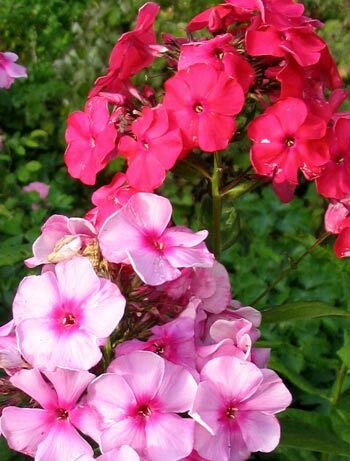 This phlox is always out of favour with me, though. Every summer I have big plans for its total and complete eradication. This seems a little unfair, considering it is a beautiful bloomer and is completely free from disease.